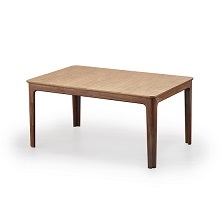 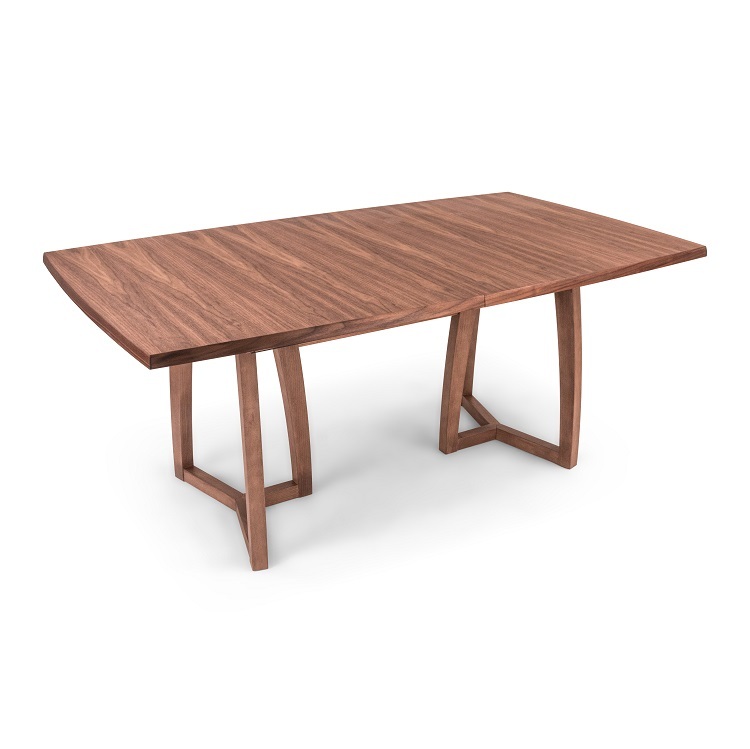 The Britta table, available in natural walnut, is a boat-shaped dining table supported and connected by two three-legged trestles. 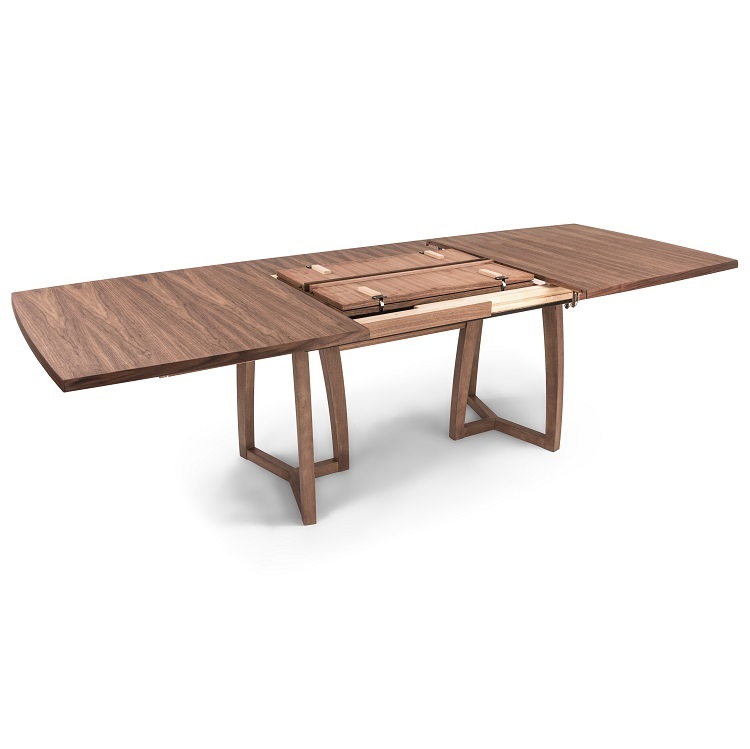 In its original configuration, the table can seat between 4 - 6 guests, and when expanded, it can accommodate up to four more people. 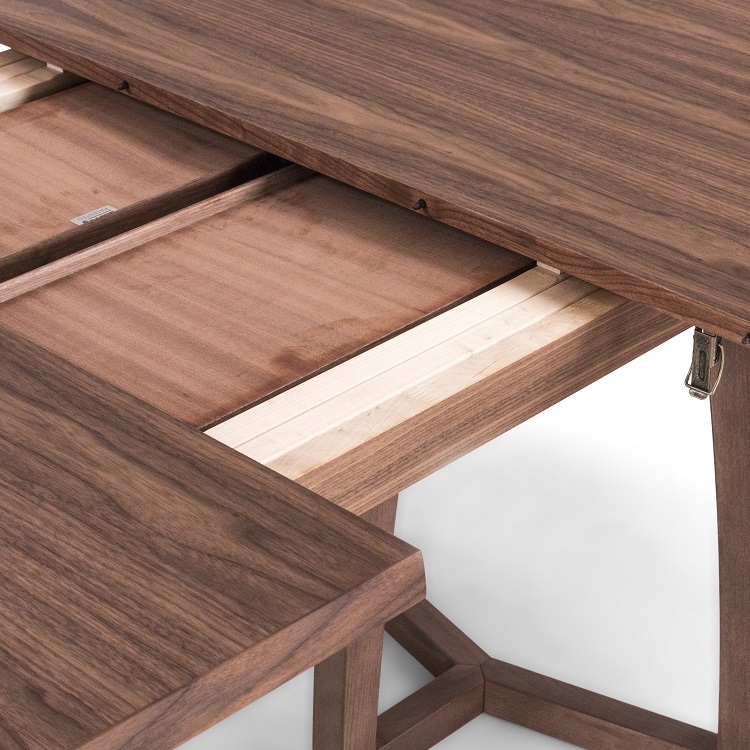 The table expands by lightly pulling either end to reveal the extension leaf, which then unfolds as the table is lengthened horizontally.